Folic acid is an essential B vitamin for DNA production as well as the production and maintenance of new cells. This nutrient is specifically crucial in pregnancy and periods of rapid growth. In the following three research studies, we specifically look at how folic acid impacts pregnancies. Based on recent evidence and research, it has been suggested that there is potentially an increased risk for unfavorable birth defects in correlation with folic acid depletion following short inter-pregnancy intervals. The first research study carried out by the researchers at the Department of Epidemiology in Amsterdam, Netherlands looked at the association of short interpregnancy intervals in relation to birth weights caused by the depletion of folic acid. Folic acid levels begin to deplete during the fifth month of pregnancy and remain low for a lengthy amount of time following the birth. Becoming pregnant prior to the restoration of folic acid levels can lead to unwanted birth defects which would be otherwise preventable baring folic acid levels are restored to levels normal for the patient. 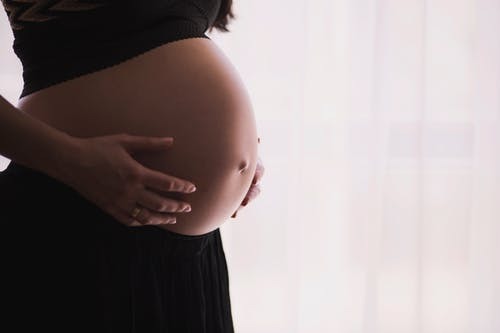 This cohort sample consisted of 3156 women who had taken folic acid in the early stages of their pregnancy, those who had not and those who hadn’t used any folic acid supplementation through the course of their pregnancy. They then calculated the interpregnancy interval by subtracting the number of months between the previous delivery and the conception of the present pregnancy. Researchers obtained information about the subjects through a self-reported questionnaire provided to them at their initial obstetric visit. The study found that folic acid depletion can be attributed to lower birth weights and unfavorable birth defects between shorter pregnancy intervals. The second study focused on how the use of folic acid supplementation may reduce the risk of unfavorable birth defects associated with short pregnancy intervals. This study was completed by researchers all across Europe and published in Pediatric and Perinatal Epidemiology by the University of Bergen in Bergen, Norway. The researchers studied how the prevalence of preconception use of folic acid for pregnancy varied according to the time interval between pregnancies. Findings concluded that having a shorter interval between pregnancies was directly correlated with lower birth weights. The overall goal of the third and final study viewed was to determine if population-wide folic acid fortification would provide a positive impact on early term births following short pregnancy intervals as well as test the folate depletion hypothesis. Conducted in Canada and published in the American Journal of Public Health, there were a total of 1,340,130 births used in the study in which the births were preterm, early term and full term. The information about the births was taken from the Quèbec birth registry which contained information for the births of all live infants from 1981 to 2010. They then took their findings and computed gestational age from ultrasound measurements as well as stratified short and optimal pregnancy intervals. From there they were able to assess whether or not preterm or early term birth rates could be correlated to the implementation of the national folic acid fortification policy. The findings of the study did not indicate that early term birth rates were directly correlated with folic acid depletion but did show an improvement in preterm birth rates following the nationwide folic acid fortification policy. Recent evidence and research suggest there is potentially an increased risk for unfavorable birth defects in correlation with folic acid depletion following short inter-pregnancy intervals. These three studies provide only a brief summary of the research that has been completed on this particular topic. Both the first and second studies found that the depletion of folic acid had a direct correlation with lower birth weights, however, the third study determined early term birth rates were not directly caused by folic acid depletion. Further research is still needed to determine the optimal intervals between pregnancies but one thing is for sure, you can’t go wrong by taking your folic acid supplements and eating plenty of folic acid containing foods. For more interesting articles check out our website. Also, check out our recipe section for some delicious meals. This entry was posted in Diet Tips, Food, Health Tips and tagged Early term birth, Folic acid, Health, pregnancy, Study, Women. Bookmark the permalink.